Serving Dishes There is 1 product. Serving Plates are called differently serving dishes or serving platters, but the usage is the same, that is for serving any food for sharing with a group on the dining table. Plenty of designs and plenty of shapes are differently selected just by the people's preference. 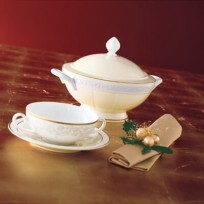 In general, round dishes are primarily preferred but square platters are considered for those who like a unique table top. Oval shape platter, plate used for serving any food on dining or parties. Sharing food such big fish or fruits for desert is one of the choices selecting oval platter plate. 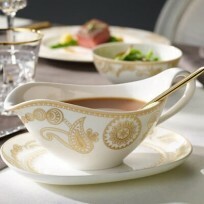 As manufacturing cost of the oval crockery is higher than normal shapes of the plates, the retail price is higher as well in general. 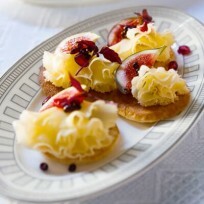 We stock a broad range of Sandwich Plates in Porcelain and PP and different shapes and patterns. 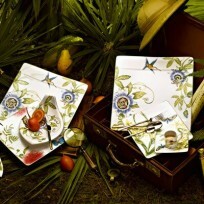 Sandwich plates are chosen either by stylish, practical design or by traditional selections. In general, Its shape is long rectangular, but it can be round shape upon people's preferrable breakfast. 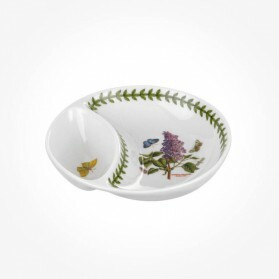 2016 Portmeirion summer New release on the Botanic Garden divided Dish selection. 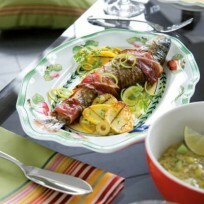 6" dish with divided section is ideal for serving for individual separately dip sauce and food such as sashimi. 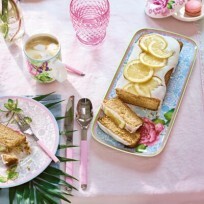 This dish has Lilac flower motif design.